I recently read Seamus Heaney’s translation of Virgil, Aeneid Book VI. This is the book of the Aeneid where Aeneas descends to the underworld in the company of the Sibyl of Cumae. It is probably the most famous book of the whole poem. I have read it before — four times in Latin, as well as three complete readings of the poem in English (once Jackson Knight, twice Fagles) plus C. S. Lewis’ Lost Aeneid. I have also read most of the Aeneid in Latin. 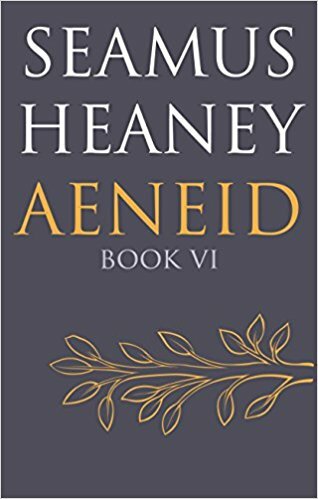 There is a special pleasure that comes of re-reading the Aeneid, whether in the translation of a masterful poet such as Heaney, or in the original masterful poet’s very own words. The discovery of something new, perhaps. Or surprising yourself by being immersed in Virgil’s verse yet again. Like Kellogg’s Corn Flakes, you can taste Virgil again for the very first time. The beauty of the poetry will always entrance me. The pathos of Dido. The citadel of dread Proserpina. The catalogue of Romans. I re-read some things for work. I do not know how many times I have read certain of Leo’s letters. I may have surveyed over 240 manuscripts, but that does not mean I have actually read the entirety of them all! I would never have finished my Ph.D. Many things I re-read for work are also pleasure, of course. Academics do not choose disciplines we hate. So I’ve read Augustine’s Confessions three times (Pine Coffin once, Chadwick twice), likewise Athanasius’ On the Incarnation. I’ve read Homer’s Odyssey in its entirety three times (Fagles, Rieu, Shewring) although I have made some good headway in the original Greek. The Iliad I have read three times as well (Verity, Rieu, Lattimore), besides a teenage start on Fagles and a good chunk in Greek. Ovid’s Metamorphoses I’ve read in English twice (Melville both times) and various portions in Latin. Circling back to Virgil, I have read all the Eclogues twice in Latin, once in English (whoever did the Loeb), and various of them multiple times in Latin. I continue to re-read beyond work, for the pleasures are similar, even if the goals of reading differ. Right now, I am between The Two Towers and The Return of the King in my fourth reading of The Lord of the Rings; I have read The Hobbit five times. Narnia — who knows? All of them at least twice! I have read Beowulf three times. Many others I think have read only twice, Guy Gavriel Kay’s The Fionavar Tapestry, Ray Bradbury’s The Martian Chronicles and The Illustrated Man, The Nibelungenlied, Anne McCaffrey’s Dragonflight. Then there are short works that resonate. I have inscribed John Donne’s ‘Batter My Heart, Three Person’d God’ in the back of a notebook. Who knows how many re-reads that has had? And, of course, those I want to re-read. Asimov’s Foundation novels, Ray Bradbury’s Fahrenheit 451, The Way of a Pilgrim. Re-readings make reading a richer experience, catching what you missed, remembering what you’d forgotten, remembering what you loved, being drawn back into something again. And again. I know someone who reads books three times. Once to see if they are worth reading. If they are, he reads them again to enjoy them more. And a third time to see what he missed the other times. He has read Dostoevsky’s The Brothers Karamazov nine times. Well, that was in 2004 or 2005 — so maybe he’s surpassed that by now! It’s a worthy approach to literature. Excuse me, I have some Virgil to read. This entry was posted in Ancient World, Books, Christianity, Classics, Literature, Mediaeval and tagged aeneid, aeneid vi, epic poems, homer, novels, poetry, re-reading, seamus heaney, virgil on June 15, 2018 by MJH.